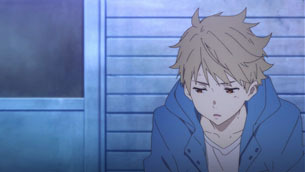 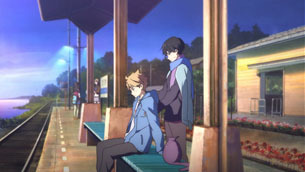 In Kyoto Animation series Kyōkai no Kanata (境界の彼方)—Beyond the Boundary in English-speaking markets—most of the setting is drawn from Nara and Kashihara, Nara Prefecture. 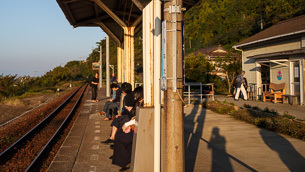 When Mirai is summoned from her hometown she departs from Ōboke Station in Miyoshi, Tokushima Prefecture. 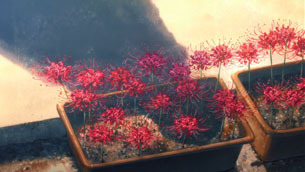 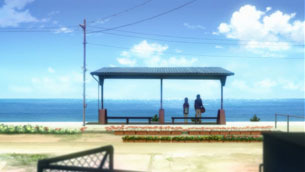 The second use of a Shikoku setting didn’t emerge until the OVA Episode 0 released with the Blu-Ray/DVD, though in hindsight it was hinted at in the opening credits. 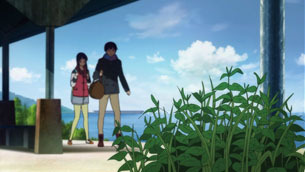 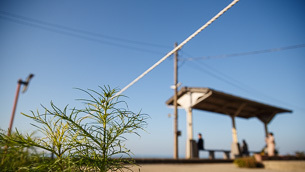 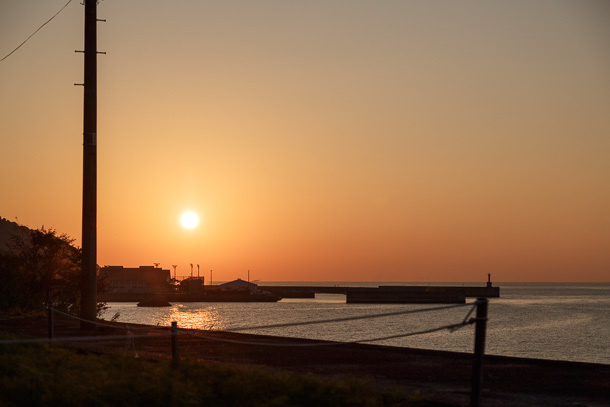 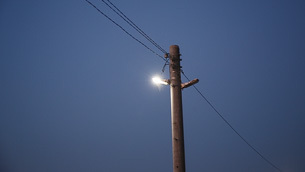 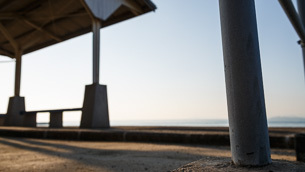 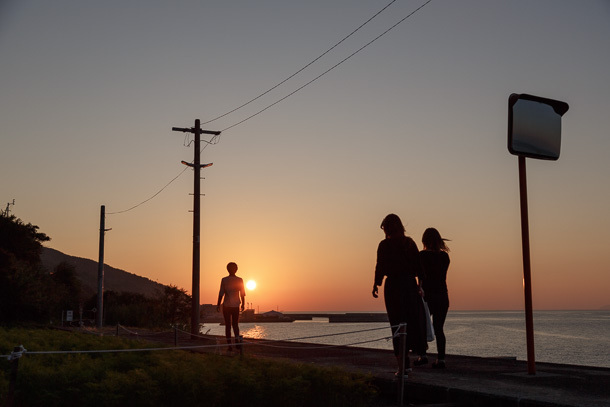 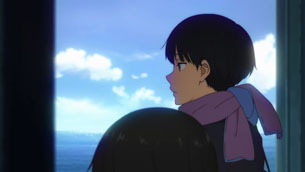 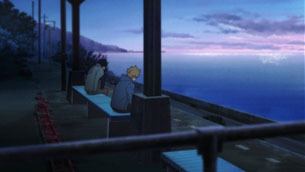 When Mitsuki and Hiroomi go to retrieve Akihito prior to the events of the main story, scenes set at Shimonada Station (下灘駅) in Iyo, Ehime Prefecture are the entry point to the rural area where Akihito has been hiding and close the extra episode. 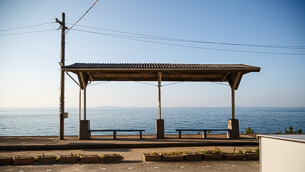 Shimonada Station is about one hour by local train from Matsuyama, the capital of Ehime Prefecture, on the JR Yosan Line. 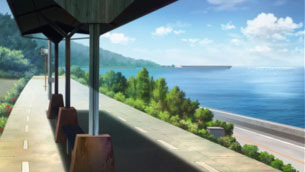 It’s a well-known tourist and railfan spot independent of the several anime series that use the setting. 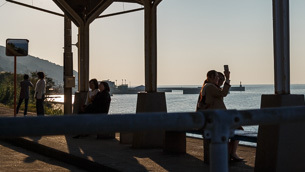 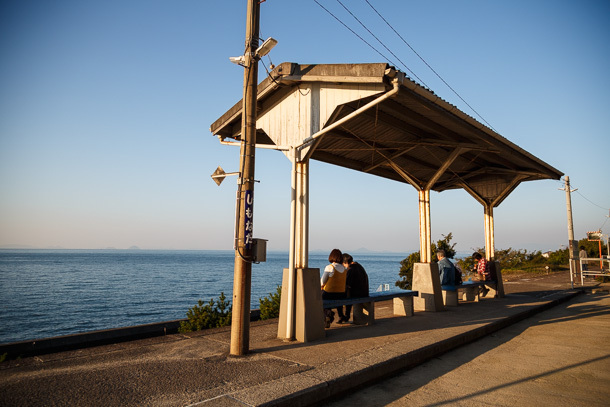 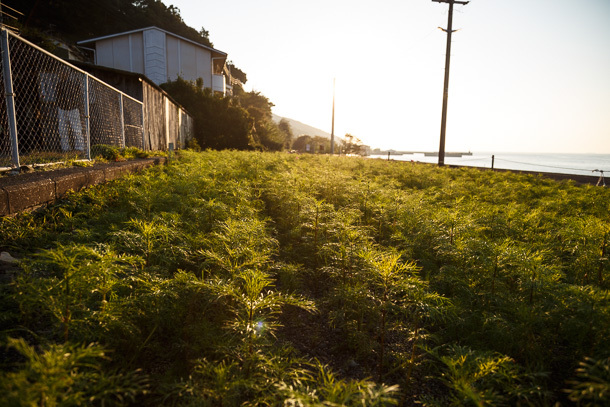 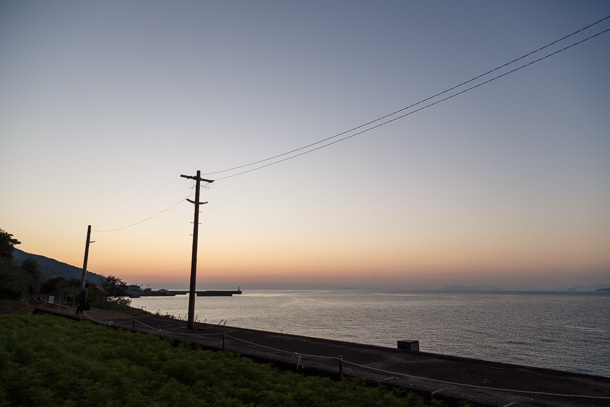 The unobstructed view and sunsets over the Seto Inland Sea are popular draws for visitors, and the station has appeared several times on posters used to promote the seasonal Japan Rail Seishun 18 Ticket (青春18きっぷ). 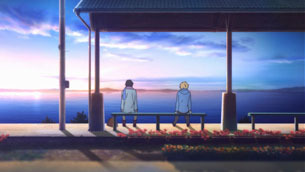 The extra episode is titled “Shinonome” (東雲 Daybreak) and features a rising sun from the left side of the frame, orienting the station facing south. 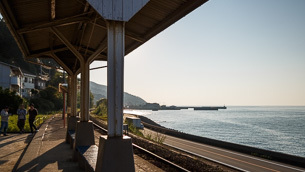 But Shimonada Station actually faces north-northwest, which is perfect for my afternoon and evening visit, as the setting sun is in approximately the same position as the rising one in the work. 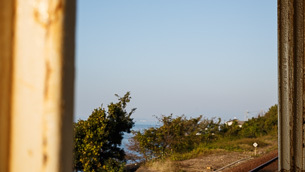 I visited on 2017 October 26 and referred to butaitanbou articles by @lidges (post) and @sky_dj_ (post) for details about the location. 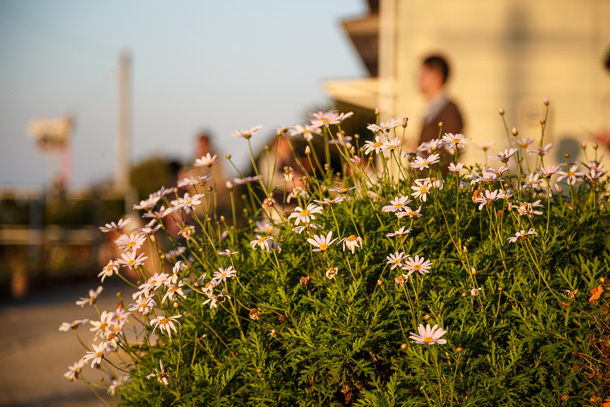 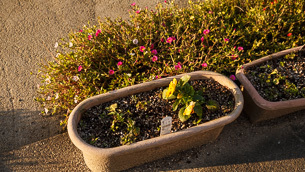 The large planter adjacent to the station rotates through different types of flowers over the course of the year. 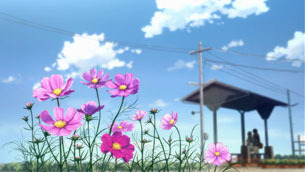 The cosmos growing when I visit are what’s drawn in the work, though unfortunately there are only a few blossoms. 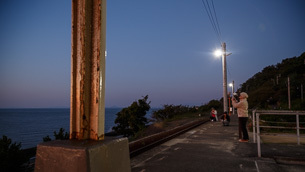 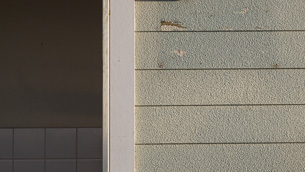 The view looking out at the sea from behind the platform is often how the station is photographed in marketing materials. 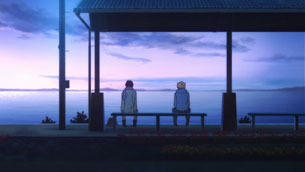 For the dawn scene, I take the photos in reverse order, trying to match the light levels. 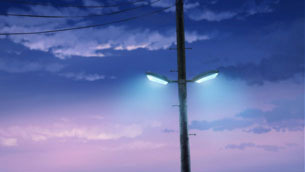 The atmospheric conditions are really cooperative, giving great oranges, blues and magentas at just the right times. 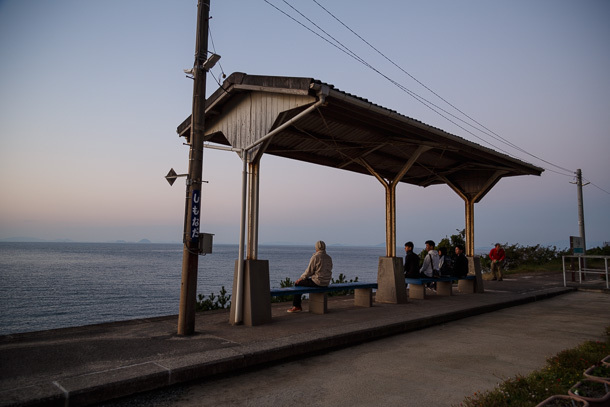 I camp out from afternoon until dusk, so I have lots of time to explore around the station. 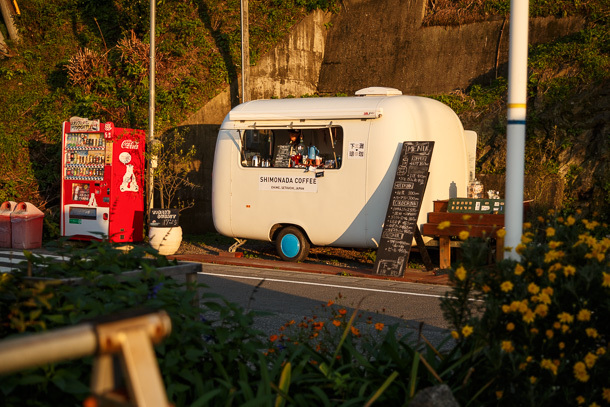 On the small street behind the station, a woman operates an adorable little coffee shop out of a vintage trailer. 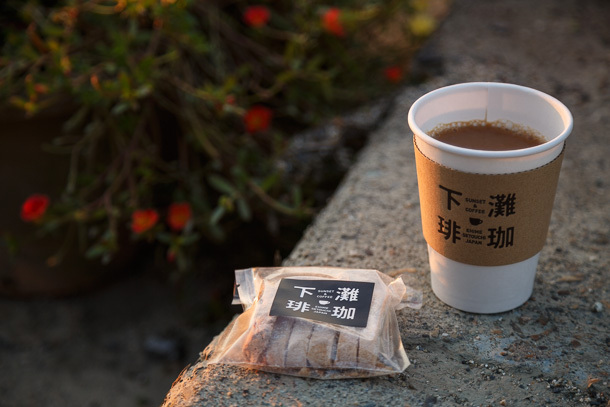 Everything on the menu is hand pour over or espresso based, and she’s happy to strike up a chat while you wait for your drink. 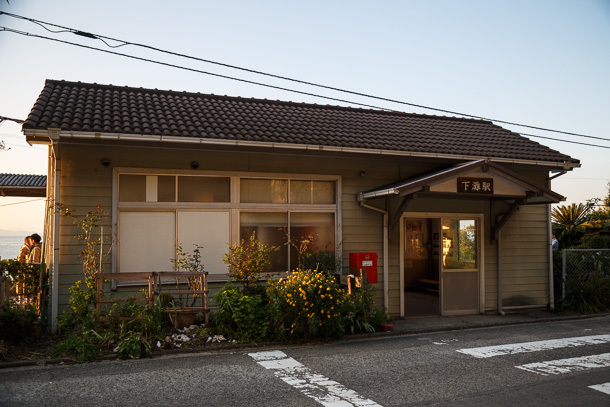 The station building is unattended and serves as a waiting area. 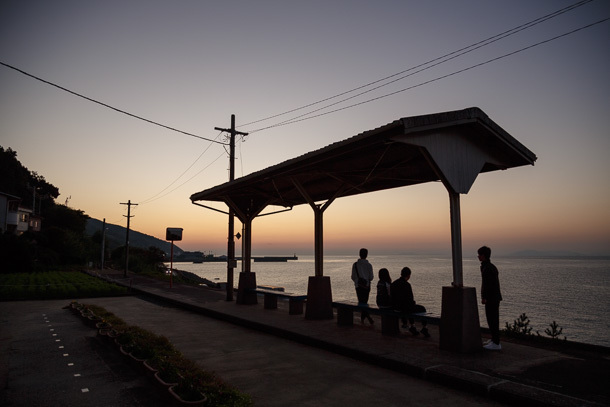 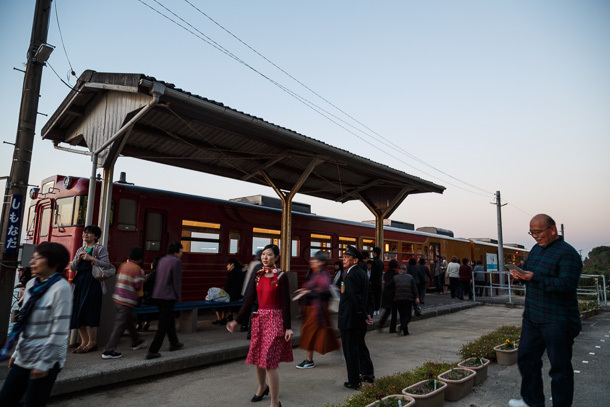 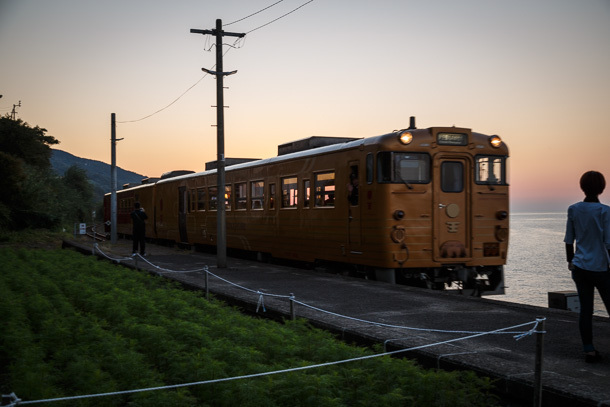 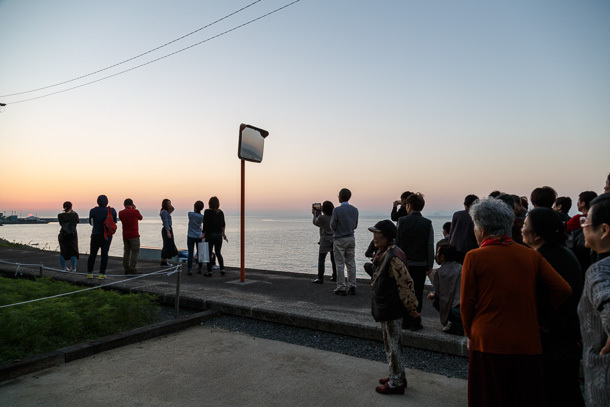 At just the moment the sun is about to drop below the horizon, the tourist train Iyonada Monogatari pulls up to the station, shattering the serenity of the moment with a loudspeaker announcement proclaiming its arrival and a musical anthem. 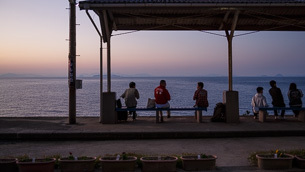 Our band of ten or so is joined by another fifty chattering onlookers, most with grey hair. 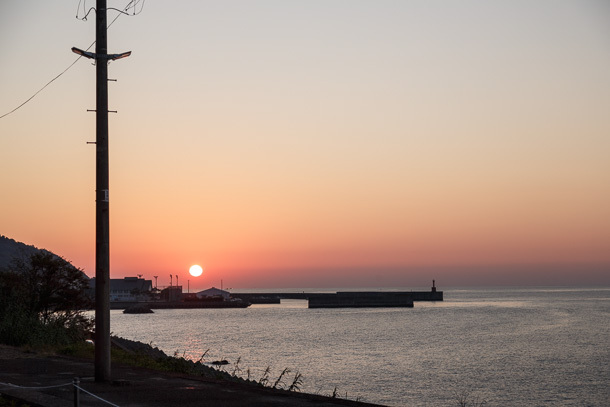 Once the sun disappears, so does the ruckus. 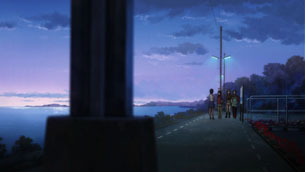 Survivors chuckle and smile at each other before settling in for the afterglow. 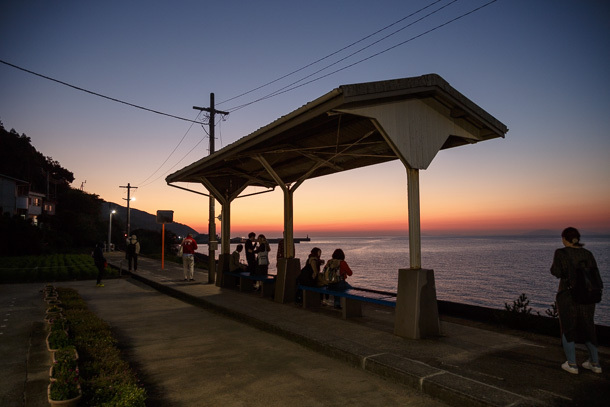 There are only a few trains stopping at Shimonada each day, with long intervals between them, but whether you come for an anime pilgrimage or just to take in the view, this is one train station you won’t mind waiting at.